When you think Fall, do you think new Winter collections? We do! So we went looking around our shops to find new products, technologies and cutting edge trends. Here are a few finds that we wanted to share with you. 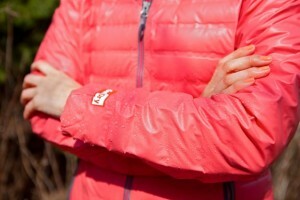 At the Explore boutique you can now find RAB clothing and accessories! What is RAB? The brand was born in 1981 in the UK. Rab Carrington, creator of the brand and passionate climber, is recognized as an extremely talented British mountaineer. It’s thanks to his many years of experience that he was able to design a brand that could meet the needs of mountaineers and brave extreme cold conditions. The Rab brand is now known for its innovative materials and great qualities. The coats are lightweight and designed to retain any moisture released by the body. 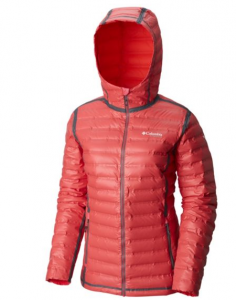 After a trip to our Columbia Sportswear store, we discovered two really cool new products. Evening walks are always nice but, as the days get shorter, we must deal with the darkness. Columbia has pioneered a range of walking/ running clothes called Flash Trail. When you see them with the naked eye, they look like nice normal clothes, but in the headlights of a car or the flash of a camera, they’ll light up. Currently, the Tremblant pedestrian village shop offers leggings, sweaters, toques and headbands from this collection. So no more excuses! You can now go for a safe walk at night. this coat, you can consult the Columbia website.